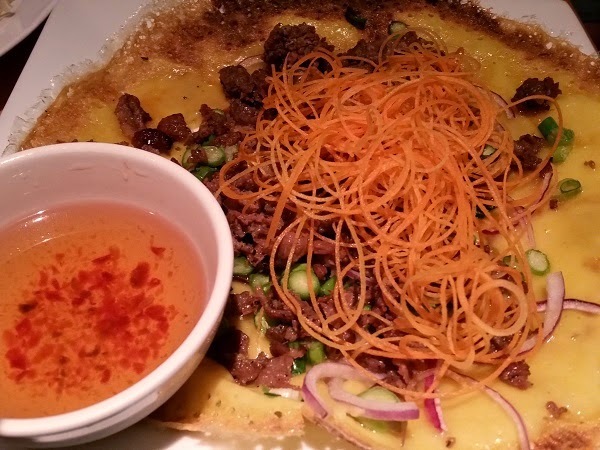 Cơm Dunwoody Vietnamese Grill Fusion, Dunwoody GA – Marie, Let's Eat! It’s always interesting to visit two restaurants as determinedly different as the two locations of Cơm in Atlanta are. 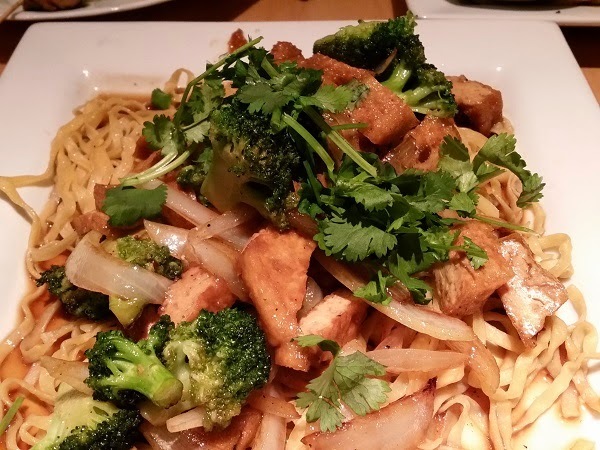 We had dinner with some friends at the Buford Highway location in late 2013 and really enjoyed it. It seems like a mostly traditional menu, comparable to many of the other Vietnamese restaurants in the area, and they serve a shaking chicken dish that Marie still considers one of, if not the outright best, of any meal she’s had at any Buford Highway restaurant. 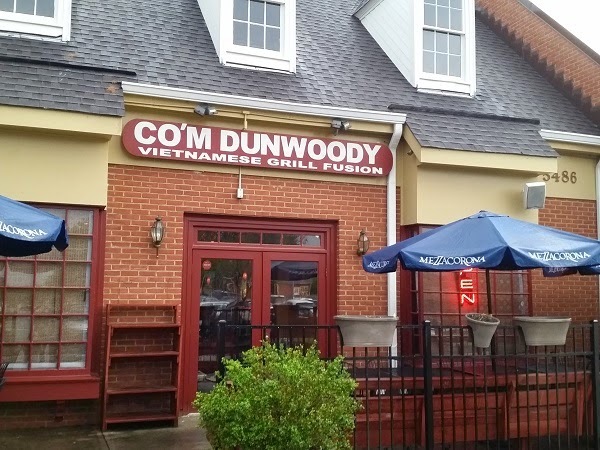 The Dunwoody location of Cơm, however, has a very different menu and vibe. It’s a very nice restaurant with cushions and pillows on the benches, worth considering for a romantic evening for two. Marie and I met there along with Marilyn from Atlanta etc., with children in tow, and happily managed to avoid ruining anybody’s date night, no matter how hard our three year-old tried. The idea behind this menu is to reflect French influence on Vietnamese cuisine a little stronger than most of the restaurants in town. So there are some standards like the shaking noodles with tofu that I tried, and chicken satay and pho, but there are also some unexpected treats like crepes, which Marie enjoyed. Our boy was misbehaving awfully on this visit, but he enjoyed some of the chicken satay and a bowl of broccoli that the staff brought him. The service was fantastic and the prices are pretty reasonable. 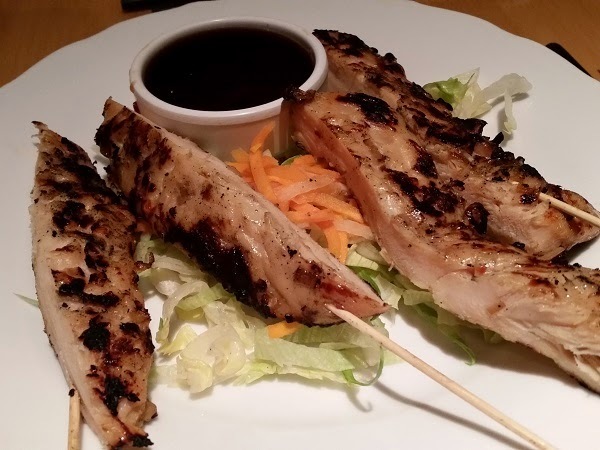 At the time of writing, their web site is remarkably out of date – it has not been updated in two and a half years and each page of the then-current menu is its own separate PDF – so don’t plan ahead by reading what they have listed there. Posted on May 24, 2015 August 21, 2017 by Grant G.Posted in atlanta, georgia, vietnameseTagged atlanta, dunwoody, georgia, vietnamese. Thanks for pointing out the differences in the locations. We’ll have to try this one – it seems to be a similar vibe/menu to Le Fat, which I adored.